If you’ve never tried a nitric oxide supplement before, you’re in for a real treat. Nitric oxide is a great pre-workout supplement and gives you unbelievable pumps, endurance, and strength in the gym. It does this by expanding blood vessels so that you can use more oxygen during exercise. There are some great products on the market and some not so great products. We want to avoid the bad ones. So make sure to choose your supplement from this top 10 list and you will be sure to get the best nitric oxide supplement. Are They Safe & Are There Any Side Effects? How Long Does A Nitric Oxide Booster Last? Nitric oxide is a molecule made up of one nitrogen atom attached to one oxygen atom. It's primary role is to help cells communicate with each other. Nitric oxide is produced by nearly every type of cell in the body. It is a vasodilator, meaning it relaxes the inner walls of your blood vessels, which widens them. This increases blood flow and lowers blood pressure as a consequence. Nitric oxide supplements contain ingredients to boost the production of nitric oxide in the body. They do not contain nitric oxide but they do contain compounds to help the body make it. L-arginine, for example, is a popular amino acid used in supplements for this very purpose. It isn't the only one though. Nitric oxides are usually sold as a pre workout supplement that gives you good muscle pumps and builds muscle. Nitric oxide is particularly beneficial to bodybuilders, as it increases the amount of xygen and nutrients delivered to the muscles. This means that while you work out you are able to do so for longer, as your muscles are given more nutrients and oxygen than they normally would without a boost. When you workout your deplete your muscles of oxygen which then results in a build up of lactic acid. This is felt as fatigue and the more that builds up the more fatigued your muscles become and you have to quit your workout. So by giving the muscles more oxygen, a nitric oxide can delay the build up of lactic acid and time to exhaustion, extending your workout. Also, because your muscles are receiving more oxygen and nutrients, they will be able to respond to the workout much more effectively than without the boost. This means better gains from the exercise. 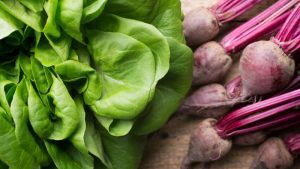 For endurance athletes, the popularity of beetroot has exploded over the last few years. Beetroot juice is nitric oxide booster and has been shown to improve exercise performance in runners and cyclists. However, they can come with side effects. The most common ingredient for a nitric oxide booster is l-arginine. This can cause stomach upset and diarrhea (2). Beetroot juice is also used to boost nitric oxide. This has a harmless side effect of turning your urine dark red. While there are a range of supplement ingredients to boost nitric oxide; they generally tend to last around an hour to 90 minutes. This is usually the perfect amount of time to get through your workout. The boost will generally last as long as the supplement is in your bloodstream. Any excess supplement will be metabolized by the body. 2000mg of Advanced Arginine Blend - including 3 of the most powerful types of arginine. Includes l-citrulline, another NO booster. A lot of the big name supplements are in powder form. But Maximus NO2 is condensed into tablets. I personally prefer this to a powder because I’m already taking a bunch of different powders (e.g. creatine, whey protein, casein, BCAAs) and I don’t want to chug anything else and risk my stomach health. Tablets are also much easier to transport because you can just take a couple with you in your pocket and slam them back with water right before the gym. Maximus NO2 s one of the top nitric oxide supplements because it relies mainly on a tried and tested advanced arginine blend. You only need to take 2 tablets and you will experience some of the best pumps you have ever had! I’m cautious of overhyping any product but I must say that this supplement really is one of the best out there. If you are looking for the best nitric oxide supplement, you’ve found it. PROS – ​Potent and ​powerful for great pumps. CONS – ​Not everyone experienced a difference in their workout. 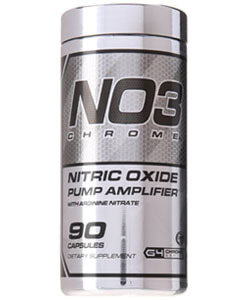 PROS – ​​​Potent and ​powerful for great pumps. CONS – ​​​Not everyone experienced a difference in their workout. 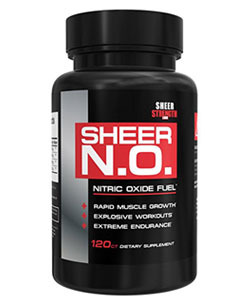 ​This is another one of the best nitric oxide supplements. This company does a tremendous job and has some high quality ingredients such as arginine, citrulline, and pine bark extract. You can expect awesome pumps in the gym, greater cardiovascular capacity, reduced fatigue, and even great libido! Not many companies care about the people that buy their products but I get a strong sense that this company truly puts the user’s health and safety before anything else. The result is a fantastic product that demands repeat buying. If your diet is on point, you can expect some amazing results from this supplement. PROS – ​​Gives great pumps and muscle growth. CONS – ​​Some people were underwhelmed by the product. PROS – ​Gives great pumps and muscle growth. CONS – ​​​Some people were underwhelmed by the product. 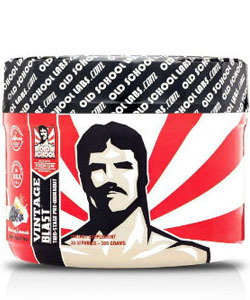 ​The great thing about this nitric-oxide booster is that the company has designed it to reduce any dependency issues. 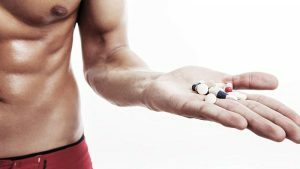 Nitric oxide supplements get a bad reputation because people often become addicted to them and can’t do a workout without them but that really isn’t a big danger with this supplement. Also, this company uses many natural products. You can really feel the difference with Vintage Blast compared to other less reputable NO boosters. 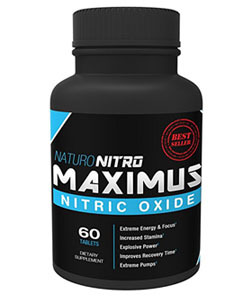 If you want many of the benefits of traditional nitric oxide supplements but don’t want to take huge health risks, this is the product for you. PROS – Even boost, no crash and uses stevia to sweeten. CONS – Not for everyone. 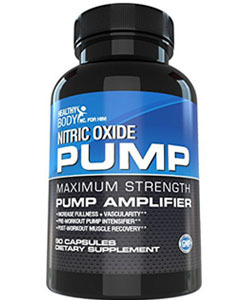 The great thing about this nitric-oxide booster is that the company has designed it to reduce any dependency issues. CONS – Not everyone felt the benefits, so experimentation is key. This supplement is another superb option for those of you seeking the best nitric oxide supplement. This company has its own arginine blend that works quickly to give you a burst of energy right when you need it. Taking these pills makes you feel like you just have to move, which makes it perfect for those times when you feel a bit sluggish. I’ve also noticed that my recovery time is accelerated whenever I take this product. I love the Cellucor brand. I think they make fantastic products and really care about their customers. Their nitric oxide supplement with arginine nitrate boosters is no different. If you’re looking for a non-caffeinated NO booster that gives you the king of all pumps, then look no further. NO3 Chrome works great when you’re on a lower calorie diet and can give you tons of energy right when you need it. I also love this product for powerlifting and pump-based bodybuilding and it makes exercise so much more fun. This supplement also helps in the bedroom, if you know what I mean! These products can be found on Amazon at a reasonable price. If you’re looking for the best nitric oxide supplement, you can’t go wrong with any of the supplements in this list. These ones really are the best of the best. They have quality ingredients and do exactly what you expect them too. With any one of these NO boosters, you will experience a huge boost in energy, pumps, and contentment. If you’ve never experienced the power of a decent nitric oxide supplement before, you’re in for a very pleasant surprise. 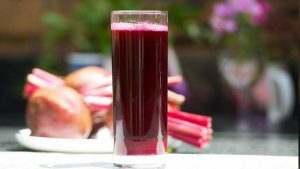 Can Beetroot Juice Improve Athletic Performance?